Finally outlined this on a great client I've had for a long time. 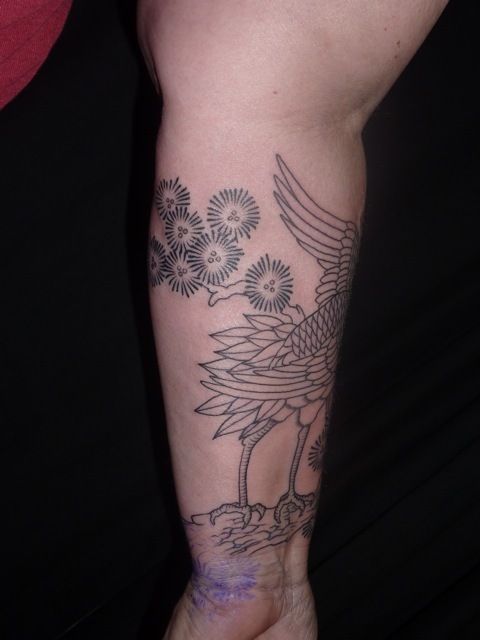 We have already done her other sleeve with a tiger and flowers and all across her shoulders and upper back with more Japanese nature stuff. 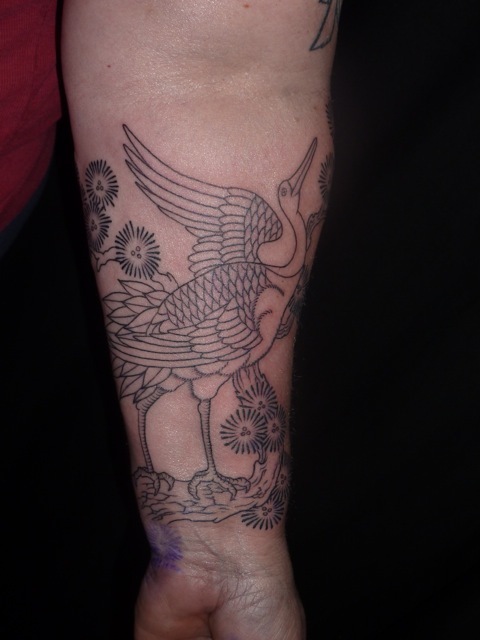 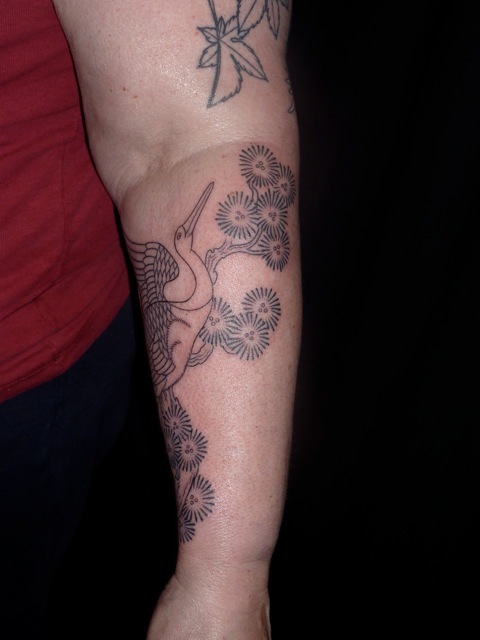 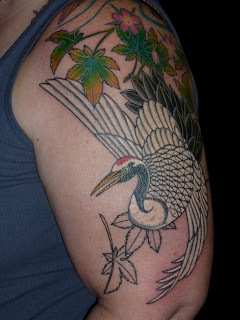 We did a crane and maple leaves on the upper arm quite a while ago, and just now started the bottom after a several month break.